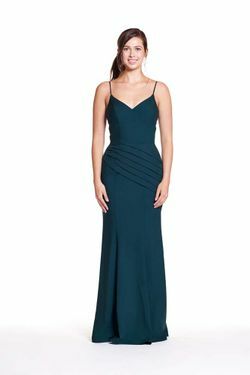 Bary Jay bridesmaid dress style 1859 - Bella Chiffon/Metallic - High neck with spaghetti straps that criss-cross and tie in back. Lightly gathered A-line skirt. 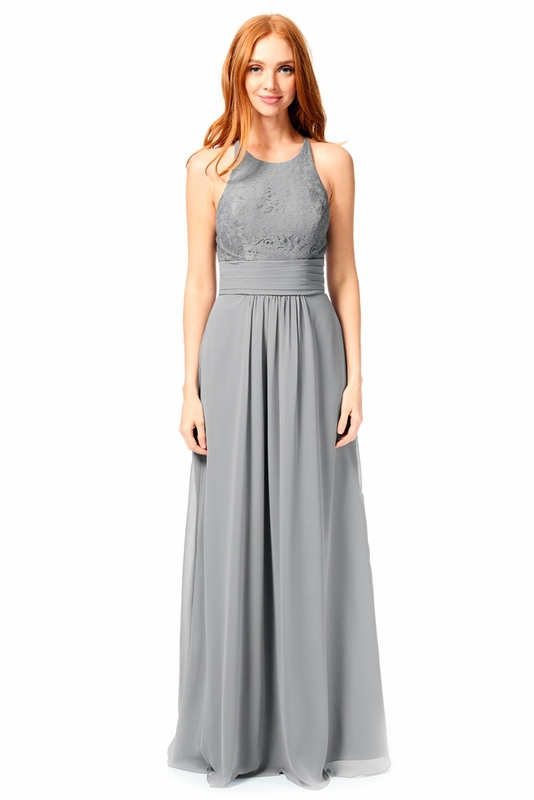 Also available in Lace colors as L-1859 with a Lace Bodice.